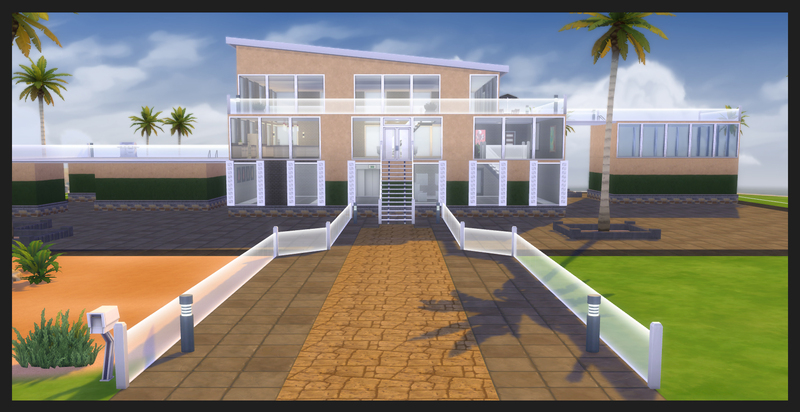 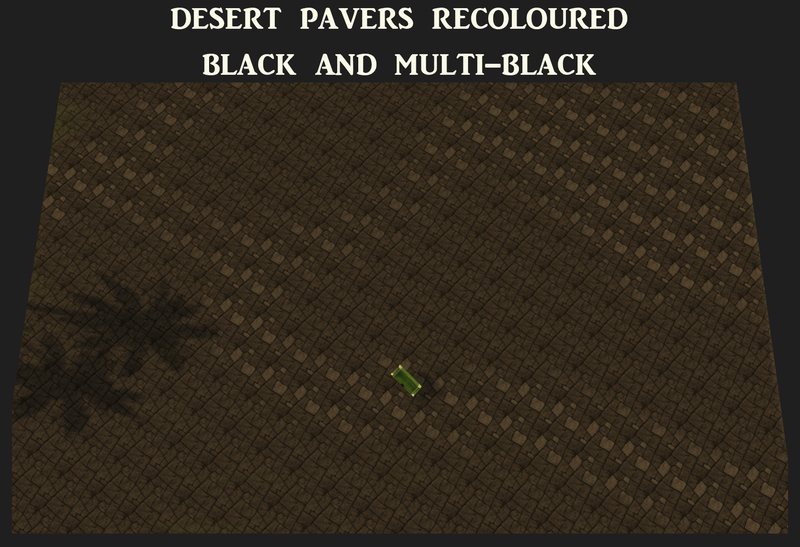 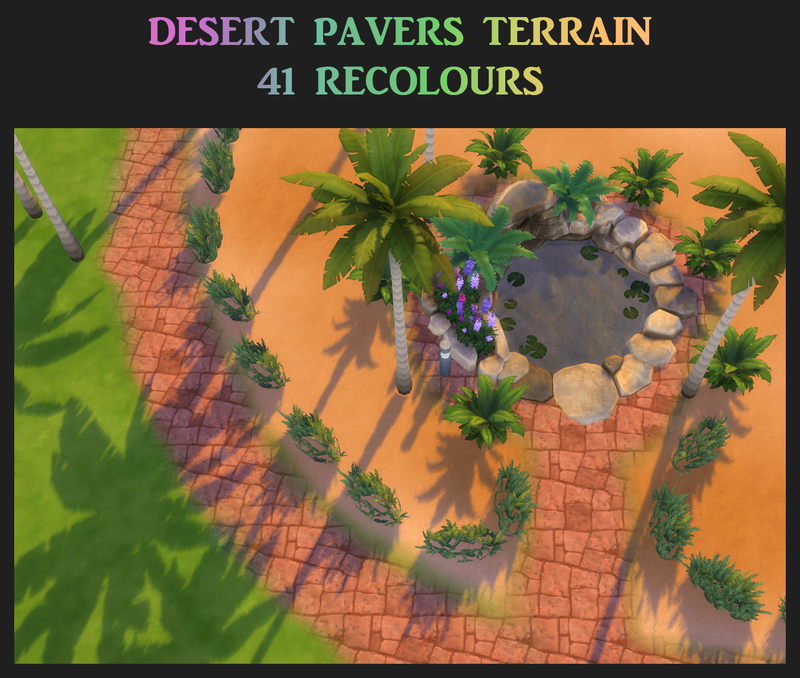 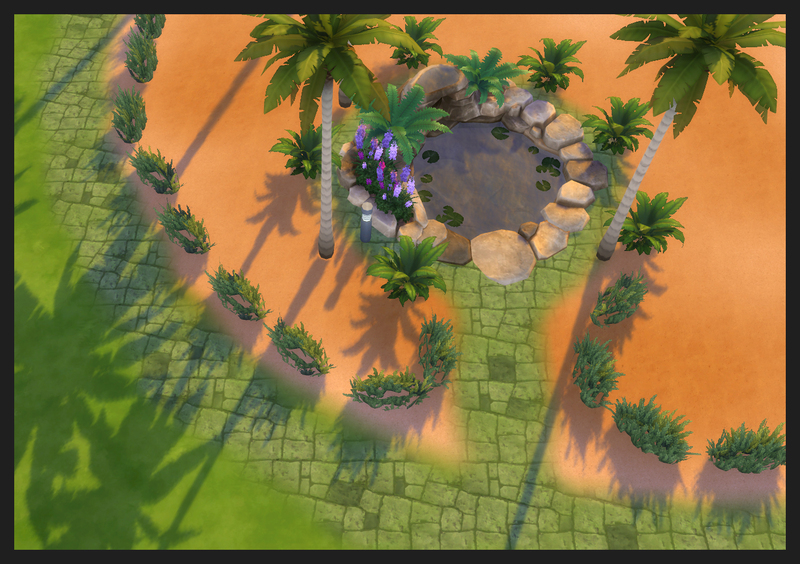 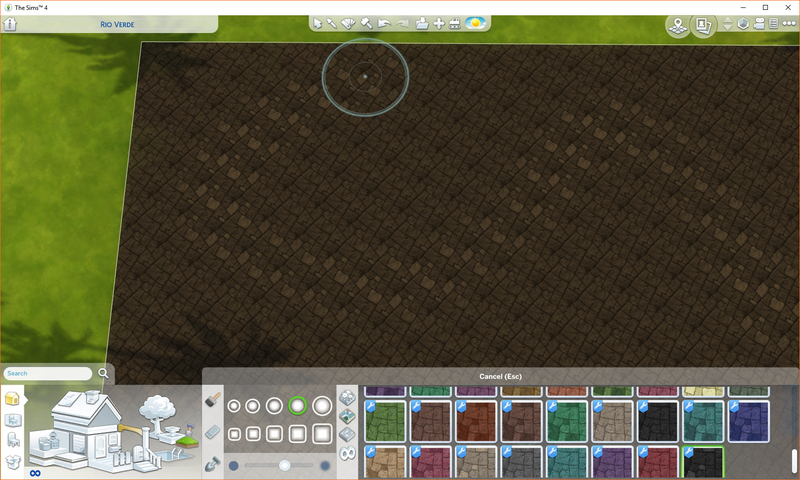 Here is a set of the Desert Pavers Terrain recoloured. 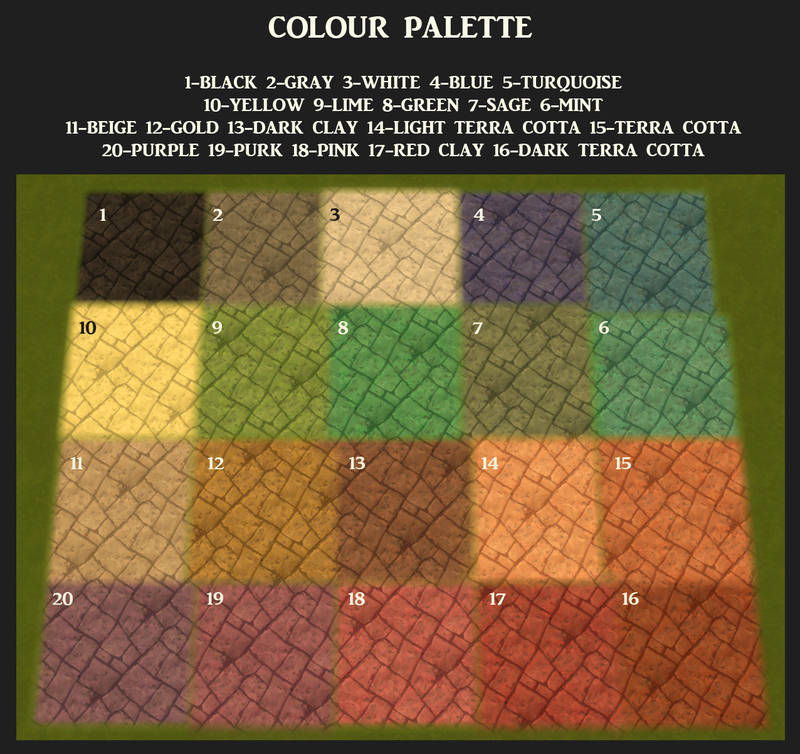 There are 20 recolours of the original tan, and 21 multi-coloured recolours, which match the solids exactly, and which include a multi-coloured version of the original tan. 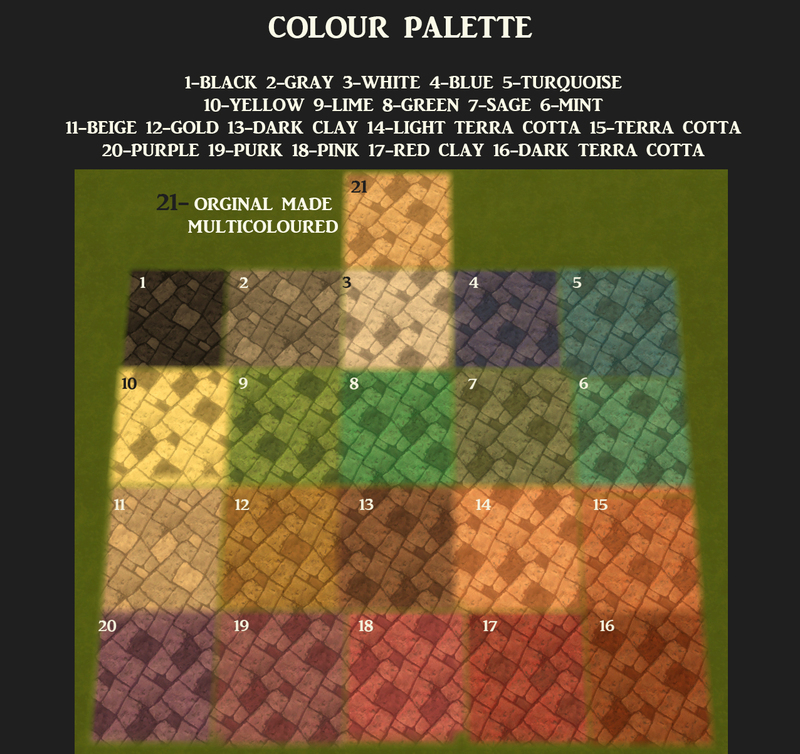 Because terrains can only be made with one colour per .package file, I have created a merged .package version for each set (solids and multi-colours), in addition to separate .zips with .packages by colour. 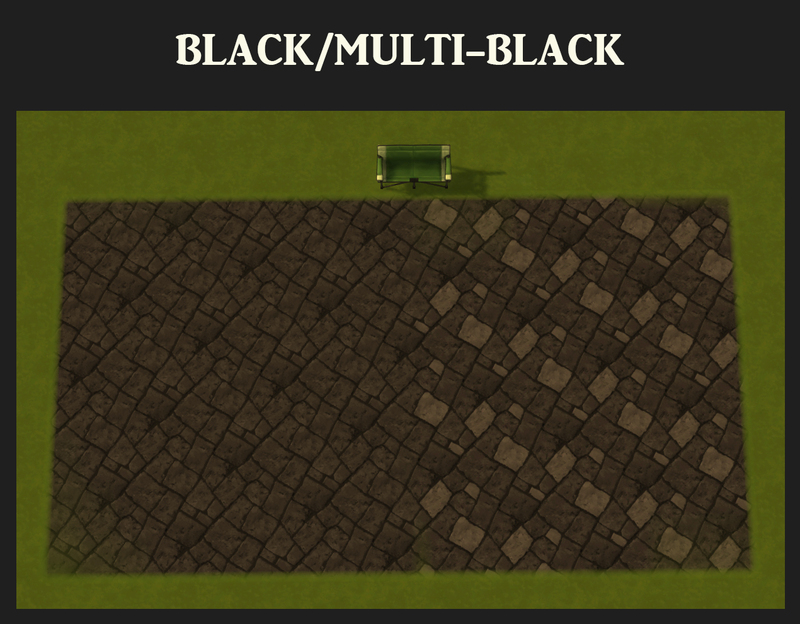 The new terrains are located in Build Mode/Terrain and are in the Stone category. 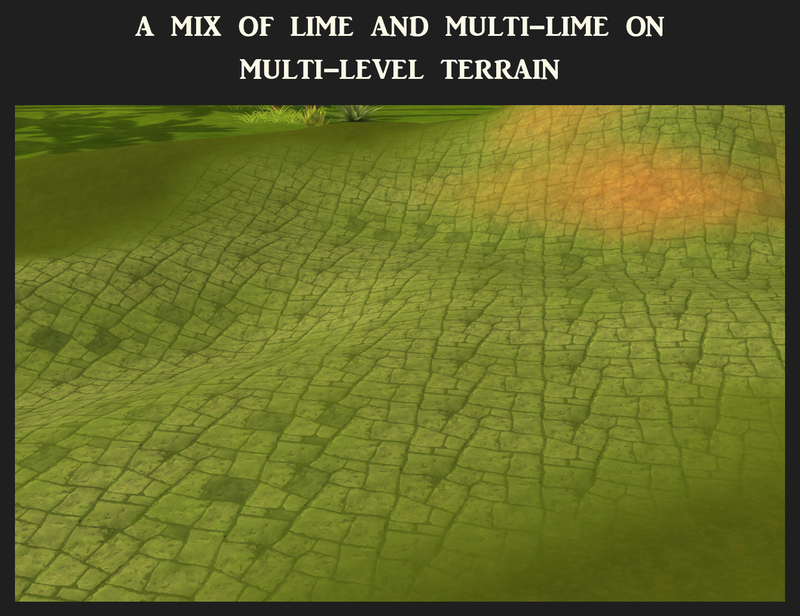 All terrains are free. 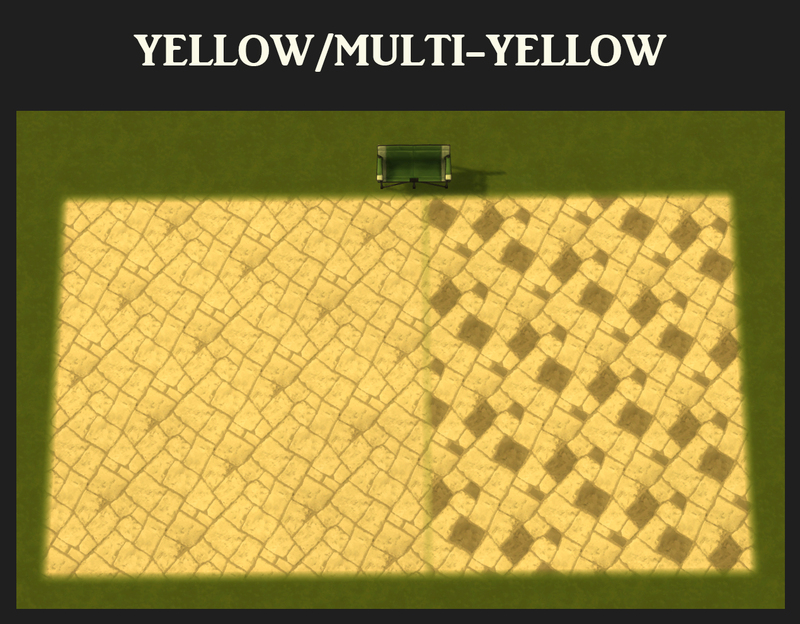 The only way there could possibly be a conflict is if you install the merged and regular .packages of the same colours.